The main attraction for tourists to visit Melaka is the historical monuments, shopping malls, museums and cultural elements and heritage as a 'Unique Selling Product' of the State of Malacca, particularly Malacca Town. Heritage tourism is a key component of tourism industry in the State of Malacca and it is a major tourist attraction, or Unique Selling Proposition (USP) to attract tourists to Melaka (Source: Draft Structure Plan Malacca). Heritage resources are in abundance at Malacca, particularly in the City of Malacca. Thus, the concentration of heritage tourism development is highly concentrated in the city of Malacca. However, emphasis is given to the development of tangible elements (building maintenance)than intangible elements (culture/living culture). The existence of the village and the museum as a cultural tourism asset managed to create its own demand from tourists for cultural activities featured. Recreationis an activity that is good for day visitors (day tripper) and tourists who stay in the short term for example at the weekend. Recreational tourism is concentrated in Ayer Keroh and along Pantai Klebang and Pantai Kundur. Various events have been launched from year to year(see tourism events). Sporting events are also involved participation from outside the State of Malacca and get the attention of tourists either in the country and overseas. However, these events have less attention to foreigners because the scale of events mainly for local. Therefore, the requirements for large-scale and international standards events is essential to promote sports tourism sector. 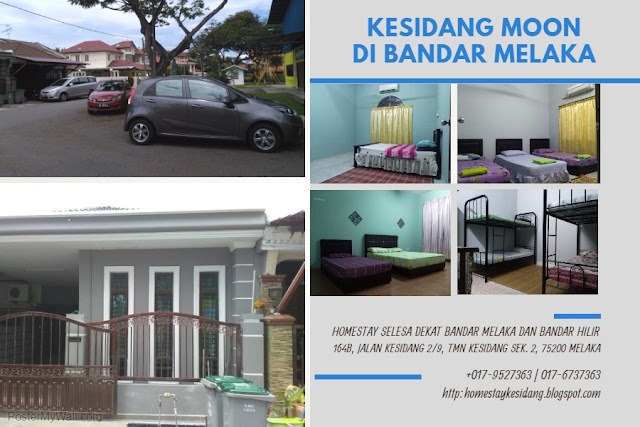 In addition, Malacca has the potential of becoming a tourist center for family as the attractions offered are close to each other and form a package (bundling). Rapid development in the property sector has encouraged the construction of shoppin gmalls. Location factors are important in ensuring that tourism development does no thave an impact on othe raspects of traffic congestion especially in urban areas such as the construction Mahkota Parade in Melaka town center whichhas significant impact on congestion to the city center. Therefore, the construction of shopping center salong Ayer Keroh corridor can reduce the concentration of vehicles to the existing center such as Jaya Jusco,Tesco and others. In addition, the closure of streets like Jonker Walk, Mahkota Parade and MITC at certain times for hawking activities to attrac ttourists to fill th eevening activities while shopping. Indirectly, it can increase the concentration of tourists and visitors to the buildings houseshops and 'turn on' the city at night. Malacca not only famous for cencalok and asam pedas, is also "heaven" for peranakan, malay, chinese and indian cuisine which reflect the multi-racial society of Malacca. In addition to providing local and western cuisine, there are two unique cuisine only found in Malacca that is Portuguese and Baba and Nyonya cuisine.